In 1898, a naval warship, the U.S.S. Maine, had exploded while docked in Cuba. War hawks in the U.S. blamed Spain for the probably accidental explosion, and war between the two nations soon followed. Roosevelt left his post as secretary of the Navy under President William McKinley, signed up for the U.S. cavalry and was promptly deployed to the Caribbean, where he earned the admiration of his countrymen for impassioned leadership and bravery during the Spanish-American War. His popularity as a soldier led McKinley to choose Roosevelt to serve as vice president during his second term. Roosevelt was then thrust suddenly into the presidency upon McKinley’s assassination in March 1901. As president, the former cavalry hero of the Spanish-American War—his unit was known as the “Rough Riders”—ushered in a new imperial era in American foreign affairs. He proceeded to expand America’s influence into the Pacific as well as neighboring Latin American countries, such as Panama and Puerto Rico. 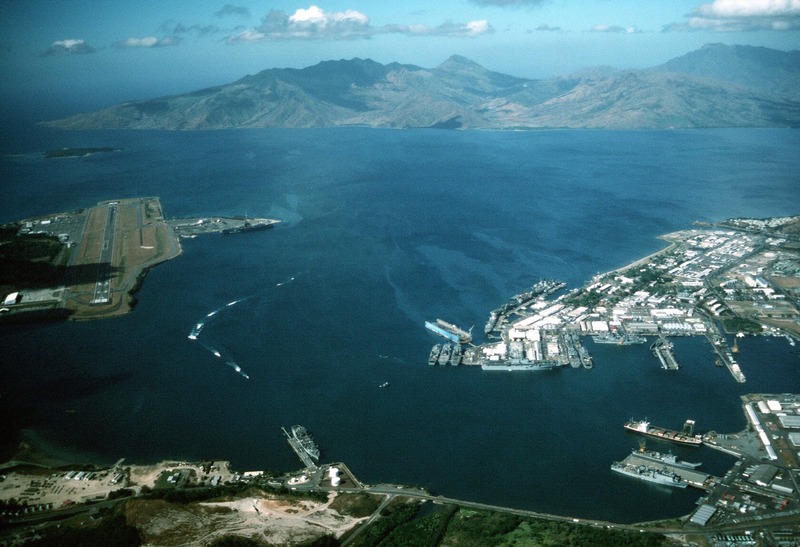 In November 1901, he issued the executive order to establish a naval base at Subic Bay. He believed that the spot should become the Navy’s Pacific headquarters, as the area’s rugged jungle terrain would provide an ideal training ground for naval and marine forces. Roosevelt also viewed a major naval base in the Philippines as a critical strategic asset in light of Japan’s growing military might in the Pacific region and increasing political unrest in China. 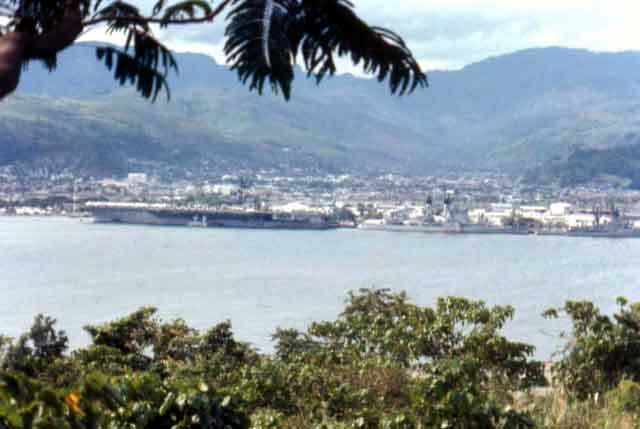 Note: I was a frequent visitor to Subic Bay while stationed on the aircraft carrier USS Kitty Hawk in 1970-1971 during the Vietnam War (The above photo shows Kitty Hawk at Subic Bay). Subic Bay served an important role as the carrier and other warships were repaired and resupplied at the U.S. naval base during the war.